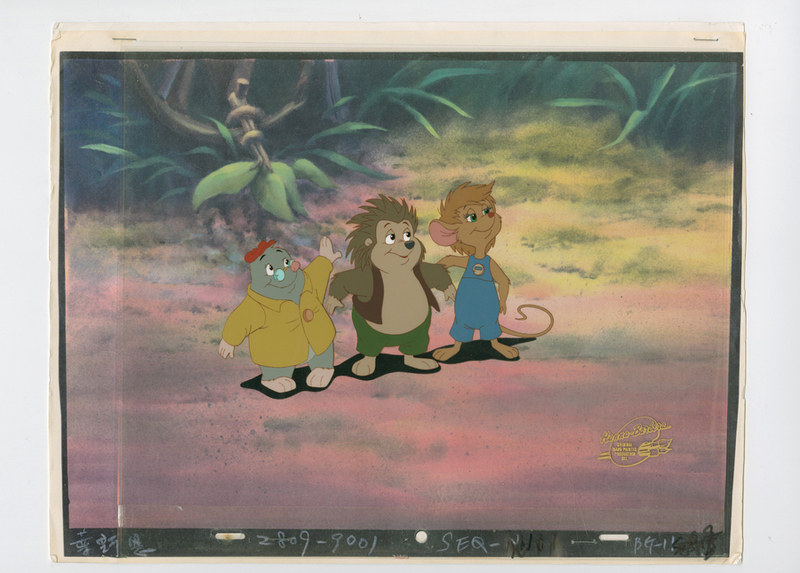 This is an original production cel from the Hanna Barbera Studios production of Once Upon a Forest (1993). 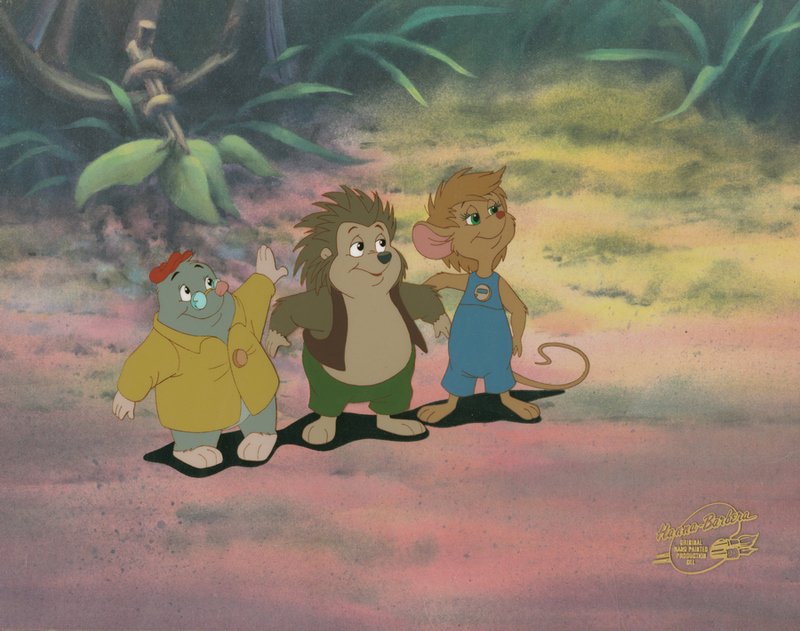 This hand-painted cel features Abigail, Edgar, and Russell and was created at the studio and used during the production of the film. 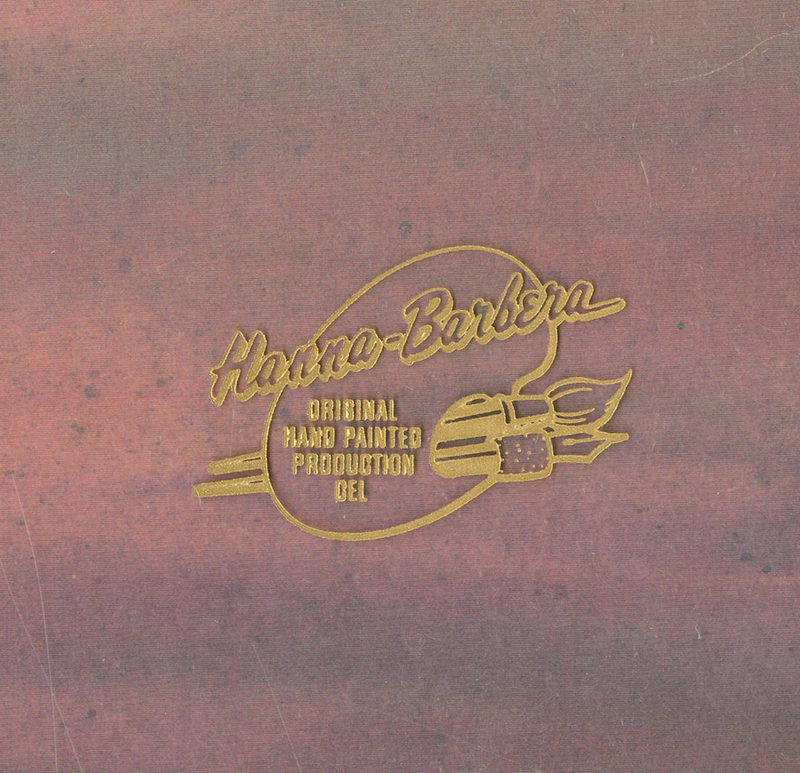 The cel is paired with a color copy reproduction background and is in very good condition. 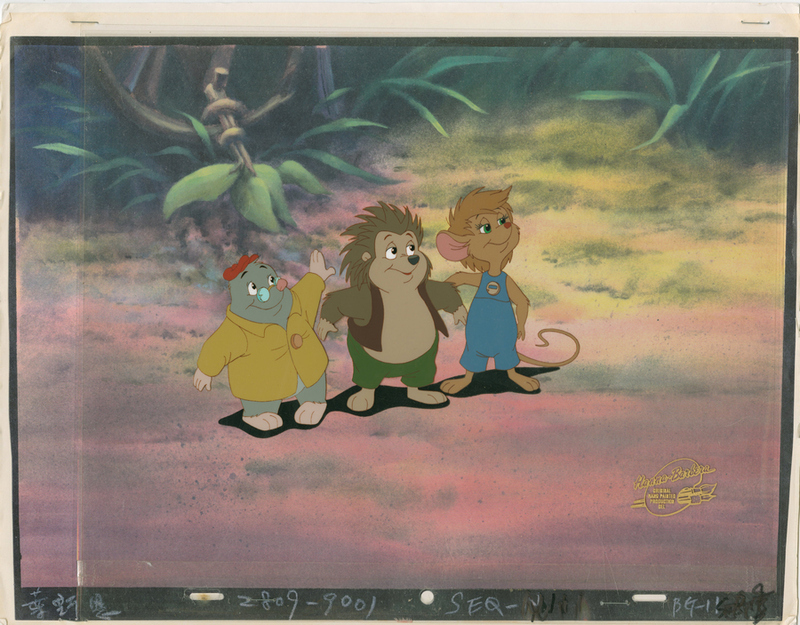 The overall measurements of the piece are 11.25" x 14.25" and the image itself measures 4.5" x 7" cels, 9.75" x 13.75" full image.